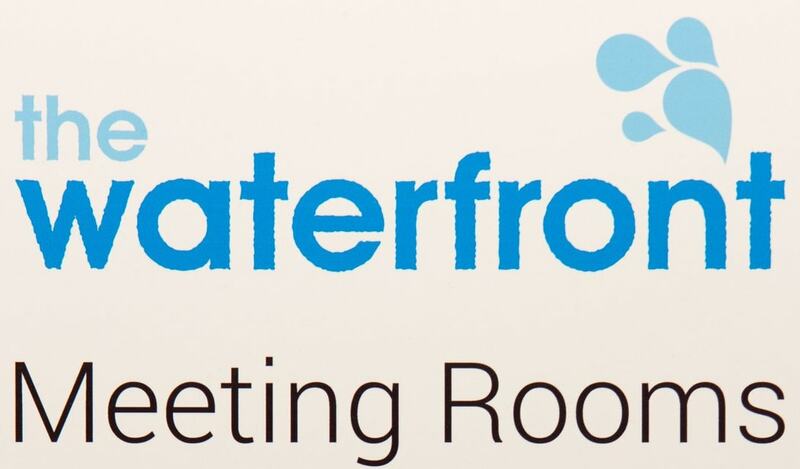 The Waterfront Meeting Rooms on Welsh Back in central Bristol needed additional capacity to keep up with a growing demand for their rentable meeting spaces. 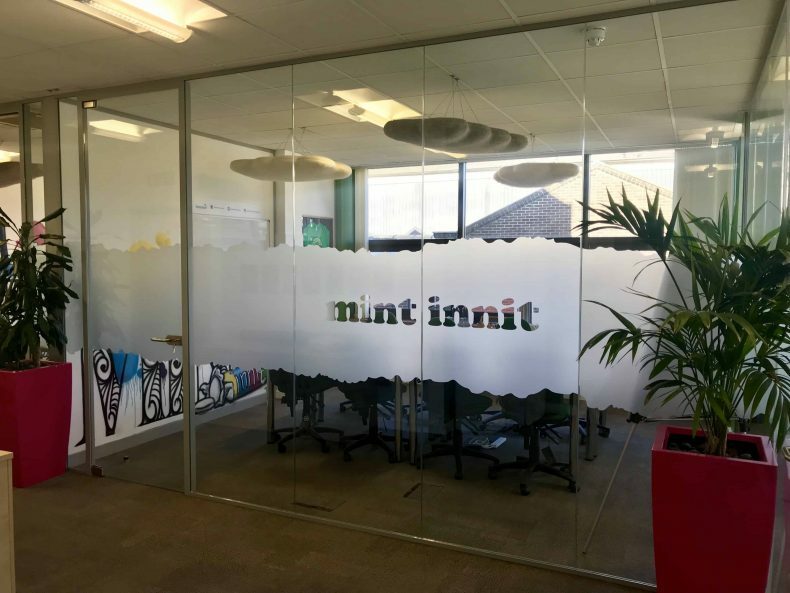 Having worked in the building on numerous occasions Avent Interiors were asked to Partition off an area of the building and create 5 meeting rooms to provide extra capacity. Increased capacity (more Meeting Rooms). Good acoustics within each meeting space. Cost-effective solution to create required capacity. Quick turnaround before launch date. Flexible working to allow for other tenants of the building. 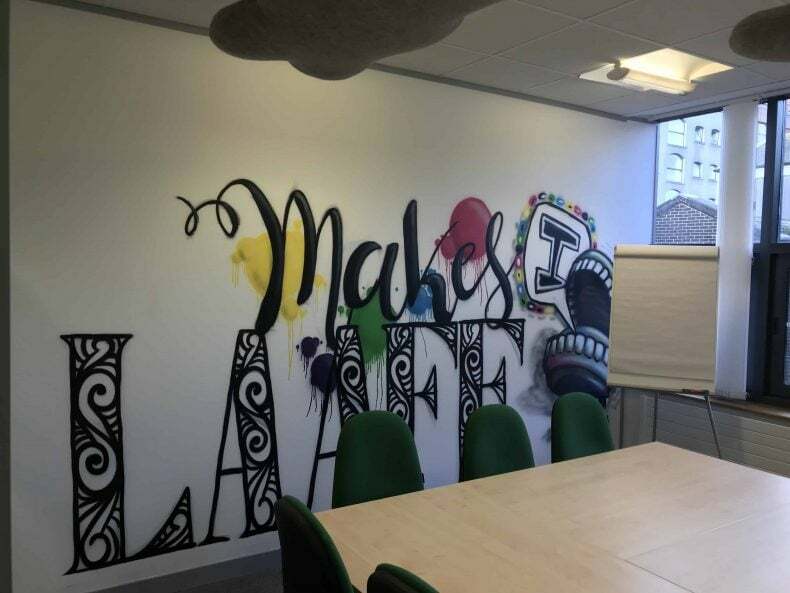 Bespoke Manifestation design to fit Bristolian theme. Creation of 5no. 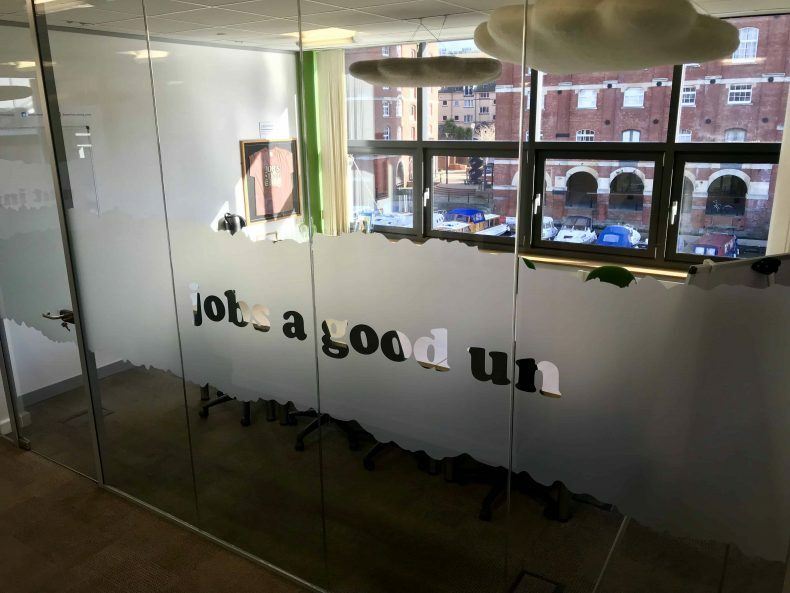 meeting rooms using Acoustic Partitions as dividers and Toughened Glass Partitions to room fronts. Installation of Acoustic Partition to zone off new Meeting Rooms from the rest of Office floor. Short programme to get works complete before launch. Upholding our promised completion date, Avent interiors delivered 5 new meeting rooms on time and with no snags! 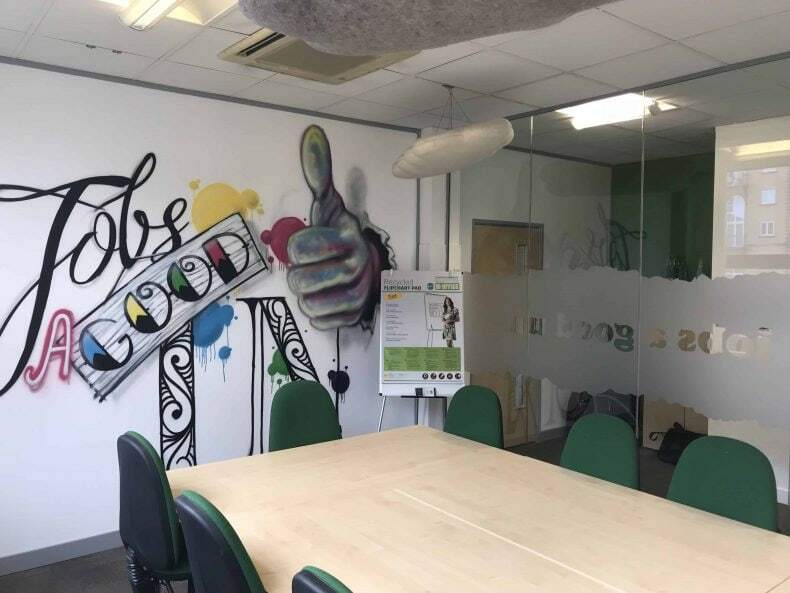 The new Meeting Rooms looked great and were completed with a few personal touches by The Meeting Rooms staff and a local graffiti artist. The area on which the rooms now stood had been truly transformed and the client could not be happier with the end result! 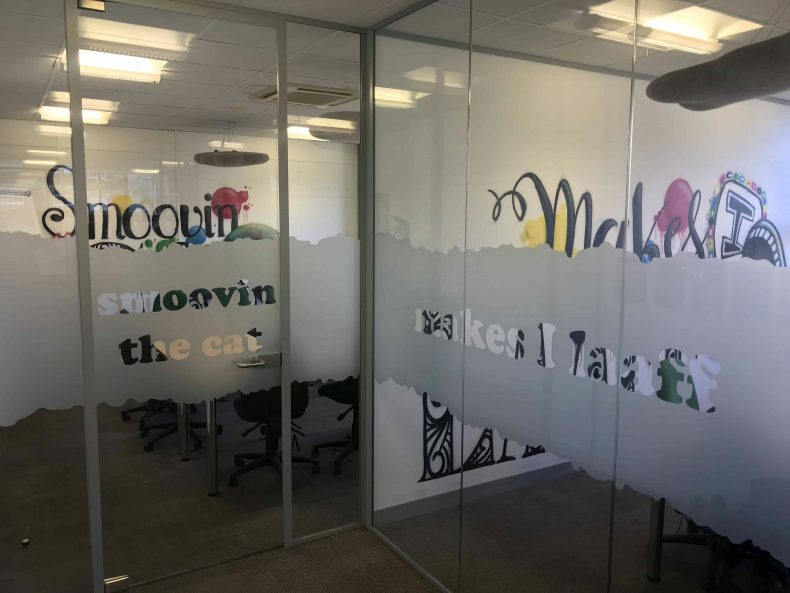 The Meeting Rooms are rentable meeting/conference spaces in central Bristol on the lovely Welsh Back, just off Queen Square. 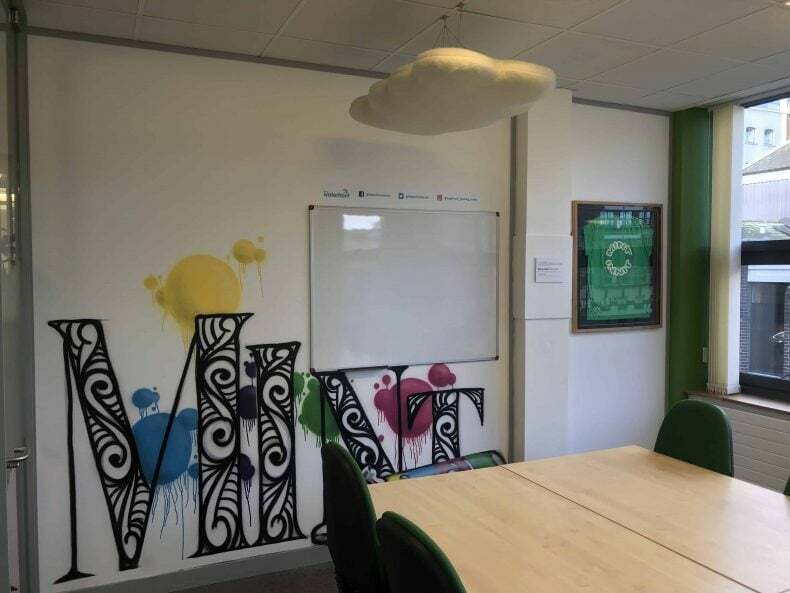 The spaces are available to book through their website and are truly great value for money. You are able to book a variety of sized rooms for the morning, afternoon or full day slots.